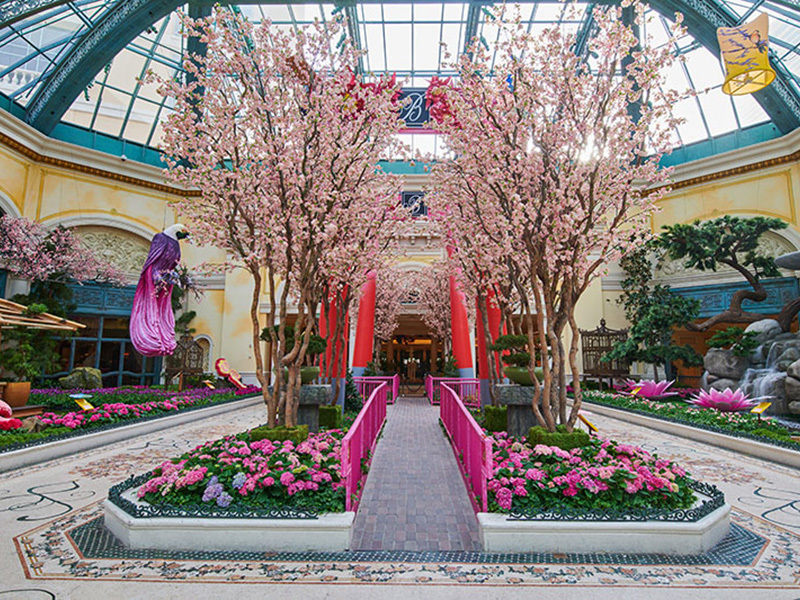 A three story, glass-domed botanical garden filled with seasonal flowers and plants. 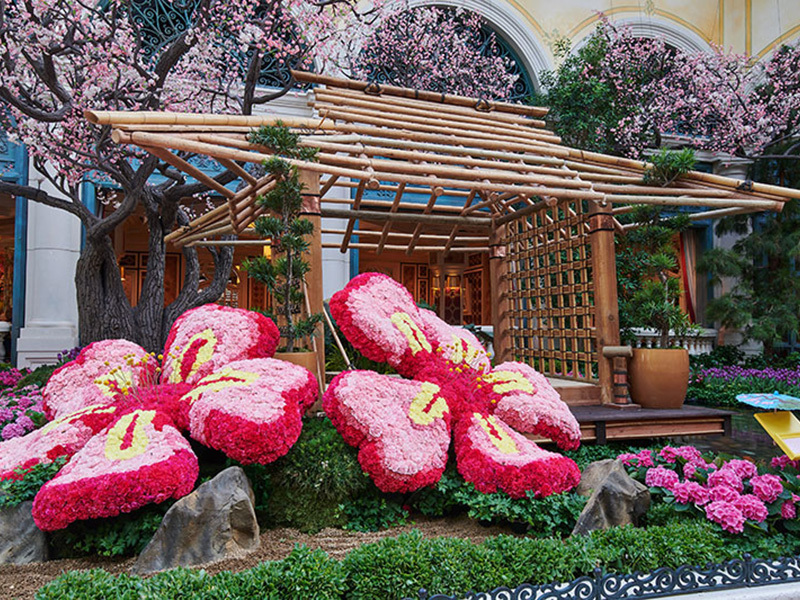 In Bellagio on the Center Strip. 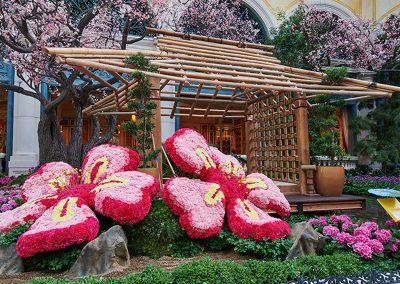 If you have a chance to make it during the holiday season or just afterward for Chinese New Year, those are usually the two most gorgeous displays of the year. A pleasant and quiet diversion — but only nature freaks will be able to spend more than fifteen minutes there. 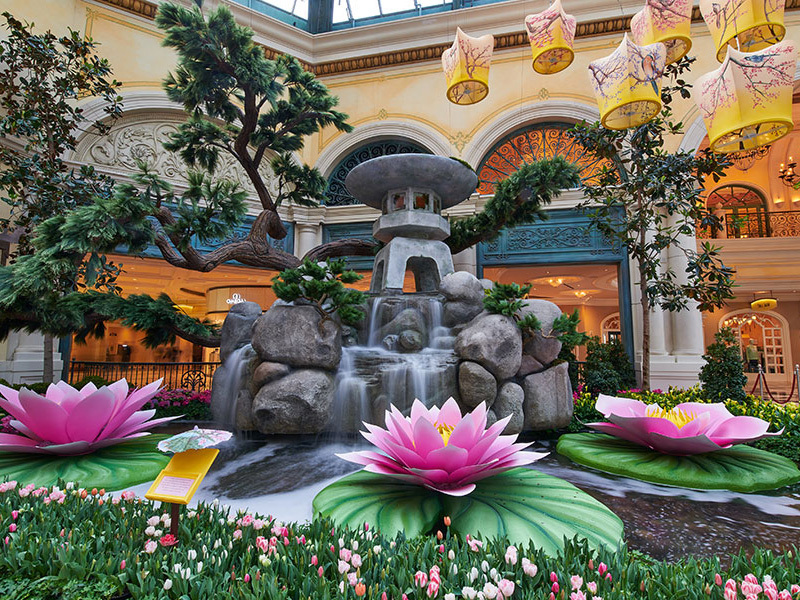 A must-visit on any Vegas vacation, the Bellagio Conservatory has become an iconic part of the Sin City landscape. Five times a year, they create stunning displays of plants, flowers, and decorations themed to a season – winter/holidays, Chinese New Year, spring, summer, and fall. Although they may reuse some bits and piece, the exhibits change each year so pretty much anytime you go you’ll see something new. 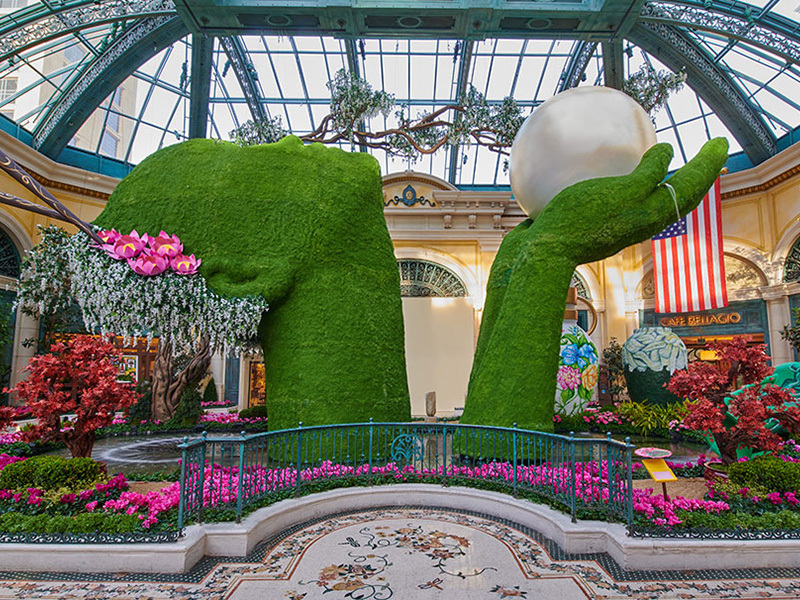 They have more than 140 horticulturists on staff who create the displays at a cost of millions of dollars each time so you know they aren’t messing around. 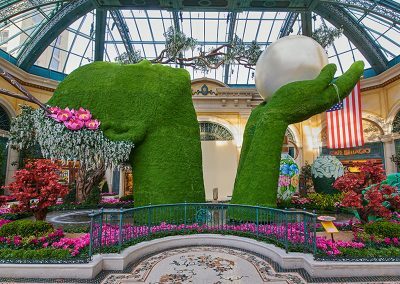 The most impressive are usually the holiday display, which will often include things like polar bears made out of flowers and a giant Christmas tree, and the Chinese New Year display, which will feature animal recreations of whatever year it happens to be (horses, rats – but cute ones, etc.). It’s not huge so if you find a reason to spend more than 15 minutes here you’re probably way too into plants but it is worth taking lots of pictures so make sure there is space on your camera roll. 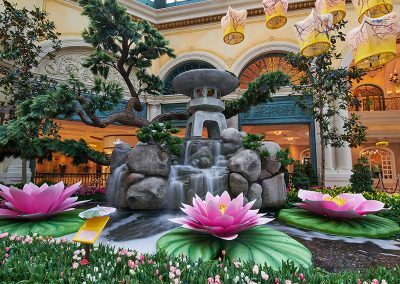 Hint – go in the evening or early morning before the crowds arrive. It’s free and open 24 hours a day all year except when they are changing displays from season to season.